What remained of Tropical Cyclone Fehi moved over New Zealand Thursday causing flooding and wind damage across the country. 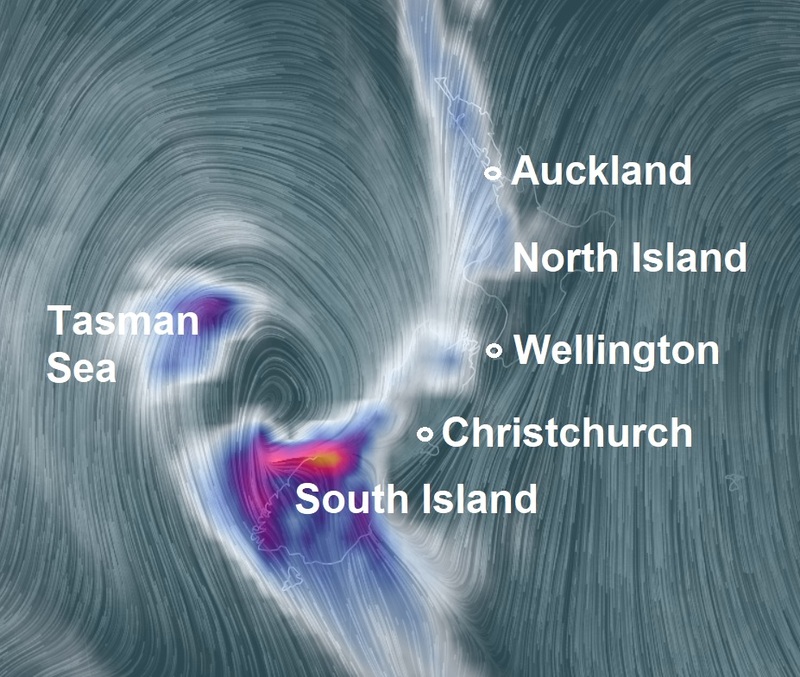 Winds of 100mph, 160 kmh hammered New Zealand's North and South Islands last night. The winds caused severe damage to buildings, toppling trees, cancelling flights, turning wheelie bins into "missiles" and whipping up waves that have flooded highways and eaten away sea walls. Metservice was forecasting gales across the region on Thursday as much of the country is hit by the remnants of Tropical Cyclone Fehi. A wind gust of 142kmh was recorded at Mt Kaukau in Wellington about midday. A 135kmh gust was also recorded in the suburb of Kelburn about 1 pm. Multiple flights have been cancelled or delayed arriving and departing Wellington Airport where winds of 116kmh have been recorded. King tides have hindered the situation causing widespread flooding around the battered country. Families had just minutes to gather their belongings before wading through knee-deep water as they were evacuated from their homes.